All professional athletes will have plenty of each skill, but most sports have a bias to one side. 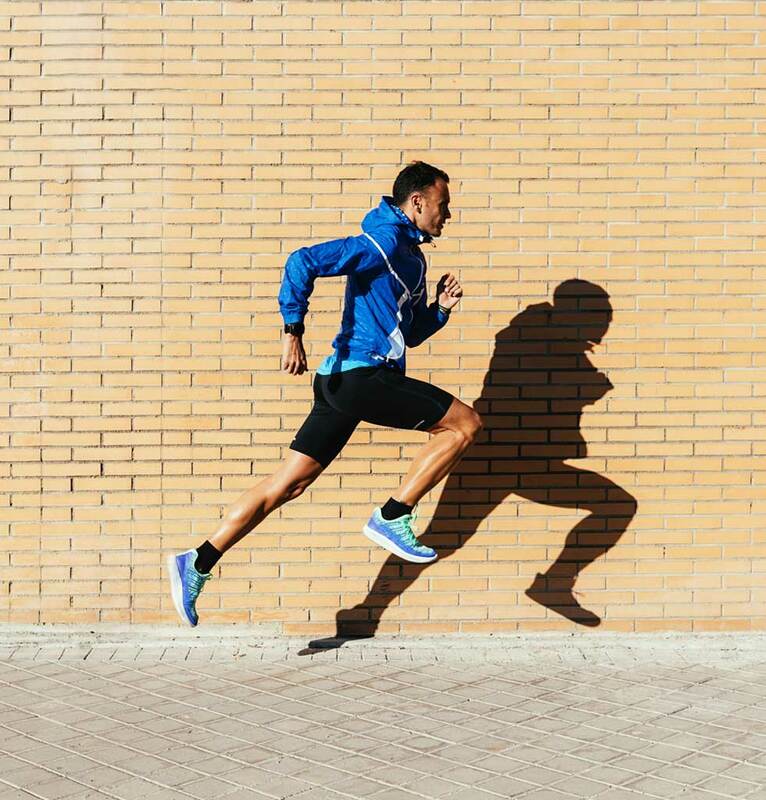 A good tennis player will have strong accuracy, coordination, and power, but less cardiovascular depth as a single point rarely goes beyond a minute of activity. A ballet dancer will try to max out flexibility, agility, and balance while strength remains in the range of supporting bodyweight movements and jumps. 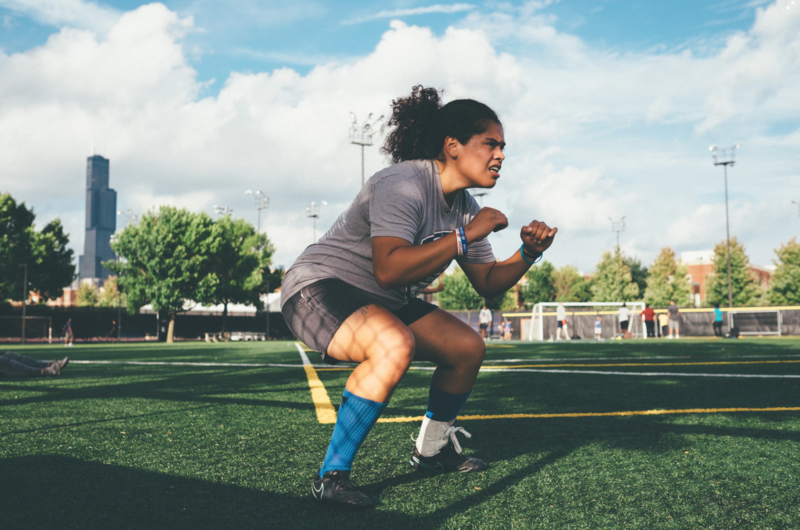 A soccer player who has to run up and down the field dozens of times will have strong cardiovascular endurance but less concentrated strength as they rarely need to exert explosive power beyond a meaty kick now and then. A boxer will narrow in producing tremendous power for short 3 minute bursts of activity in the ring. 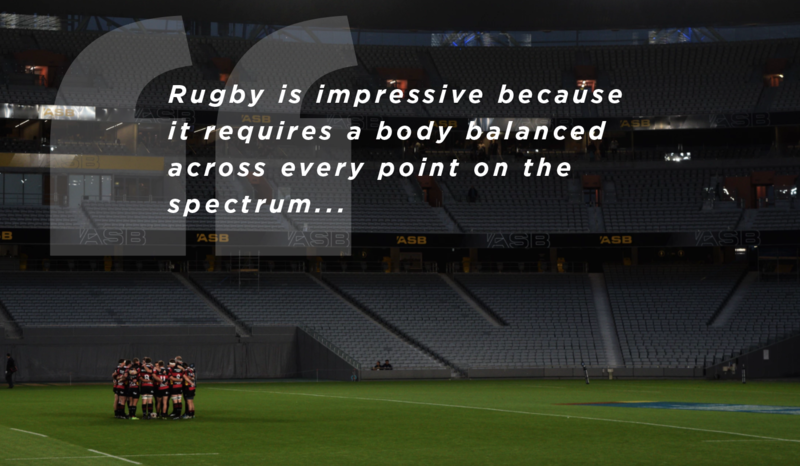 But of all the sports, rugby is impressive because it requires a body balanced across every point on the spectrum. A rugby game is played on a 100 meter long field with constantly shifting areas of play. This means a player will perform dozens upon dozens of sprints up and down the pitch. There are also very few breaks in the action, meaning the player requires huge amounts of cardio endurance and stamina. But interspersed with all this sprinting is some of the most punishing full body work a human can do - full contact wrestling! As the players tackle and scrum with one another, they produce hundreds of pounds of force from all muscle groups of their body. It’s as if you had a 100 meter dash where the runners had to stop at the 50 meter line to do a round of greco-roman wrestling before finishing the run. Amazing! As if this wasn’t enough, the entire time there’s an oblong ball in the mix, which must be kicked, passed, caught and chased around as it bounces in unpredictable ways. 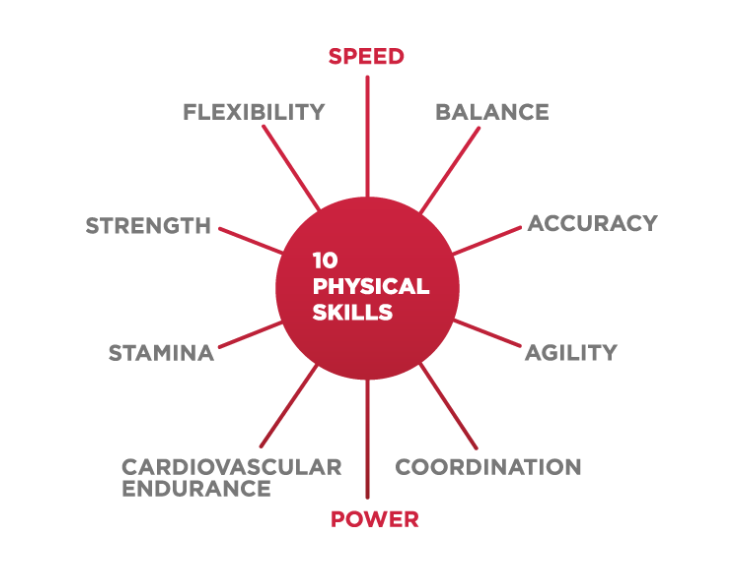 This means the players’ agility, coordination, and accuracy must also be up to snuff in order to compete. The result is the rugby body. Evenly balanced, incredibly strong, blazingly fast, and able to endure for long periods without a break. Nowhere is this more apparent in sevens style rugby where the players can’t overly specialize and have to excel across every metric. 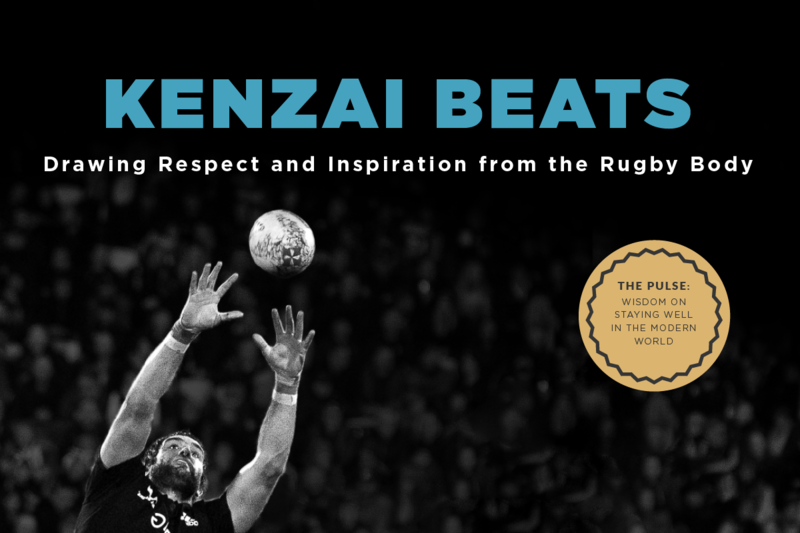 When you get a chance to watch a sevens game pay attention to how the players’ bodies have adapted to the demands of their sport, and get inspired to bring a bit of that impressive cross-trained balance into your own life. They’re not too lean, not too muscular, they live right in the sweet spot. When your own physique hits all 10 points of performance, the benefits aren’t only aesthetic, you’re building a defense system against injury and overtraining. If you have a weak point in your matrix, don’t turn your back on it and only work on what you’re already good at. Face your weaknesses and make them stronger. If these rugby players can do it so can you! You're Doing it Wrong: Pull-ups!